” President Donald Trump’s Address to Joint Session of Congress – Intensely zealous adding a Resplendent New Page ” – February 28, 2017. President Donald Trump addressing the Joint Session of Congress. “Sold, Sold, Well Sold” – will say any marketing specialist after listening to the President’s First address to the Congress tonight. 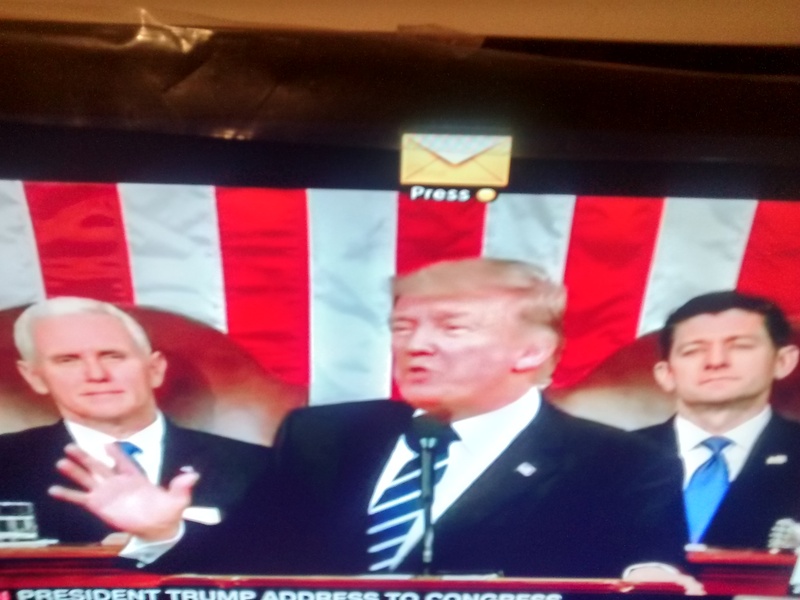 His voice sombre; words firm; modulation apt; messages clear; gestures perfect; issues paramount; arguments appealing – President Donald Trump’s speech is more than proof that he is ‘presidential’ without doubt. None probably would have anticipated, believed, and expected this from an individual thus far known to speak his mind candidly and extemporaneously. “New Chapter of American Greatness Begins” has been his Vision; and “Work past differences of the party, Work with spirited drive of People ” has been his Mission. He gave an account of his Programs too. His special team working on infrastructure aspects of National Rebuilding even while invoking the Big Infrastructure Program initiated by Eisenhower earlier in the last century. On education, clean air & water, he spoke of the need to guard the health of citizens. Honoring the widow of the Navy Seal, William Ryan Owens, killed in Yemen raid he drew the distinct example of fighting for friends, fellow soldiers, and for the country as Owens did quoting from Bible the human sensitivity. Tears rolled down from the eyes of the lady even as the ‘applause’ – perhaps for the longest duration breaking all records for a single applause ever in a speech of this nature – continued in commendation of the hero that William Ryan Owens had been. The event is more than significant for the President’s excellent and timely gesture indicating a new page in his action, the sustenance of such momentous events during his period may well ensure his leadership even after 2020 and up umtil 2024. He added that the time for small thinking and trivial fights are over. President Donald Trump radiated spirit as he stood erect using frequently his favorite gestures of (a) clapping his hands; (b) showing thumbs up with his fists; and (c) spreading hands wide in a show of whole embrace even as he maintained eye contact with the audience throughout. As the President confidently talked about his actions and military spending behovely, his strategic moves seemed strong and loud calling for due consideration, appreciation, listening, and respect. He also seemed to be showing the way for NATO allies to contribute more to fight terrorism and ISIS. President Donald Trump is making a journey full of barriers, hurdles, and uncertainties that need to be cleared quickly; but he seems to be enjoying and embracing it fully. More than any other President on a similar occasion before, Donald Trump had the compulsion to make a mark on Congressional members as well as people due to his many critical observations/assessments of the media, press, intel agencies .. .. at various points in time during the Presidential transition and later. It is not easy with security challenges engulfing the world threatening the smooth ride that people within and outside yearn for. 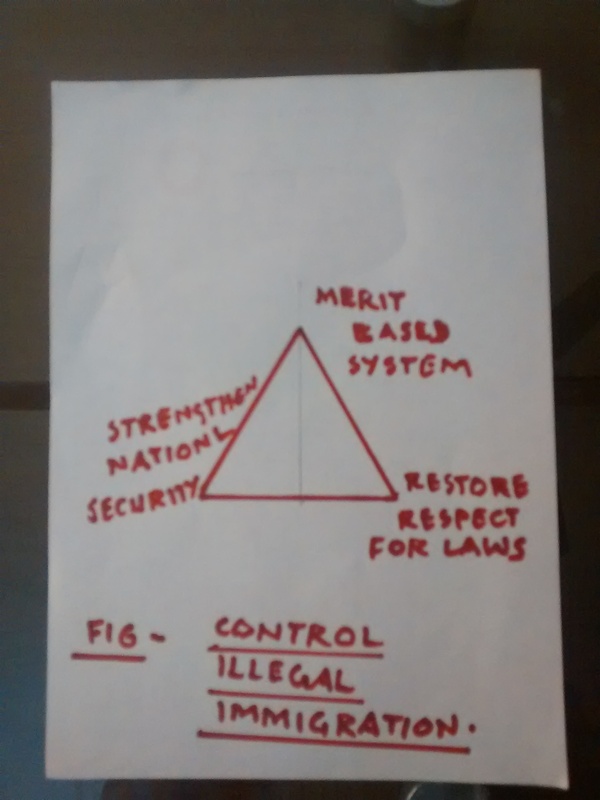 This alone has the potential to set/alter; quicken/delay; and stabilise/destabilise the position for the course his direction will take for the economy, trade, safety & security, and peace overall. President Donald Trump was pitching for enhanced military spending ( $54 billion) not cutting welfare budgets while attempting to shrink the budgets for Foreign aid, other agencies like the EPA .. .. 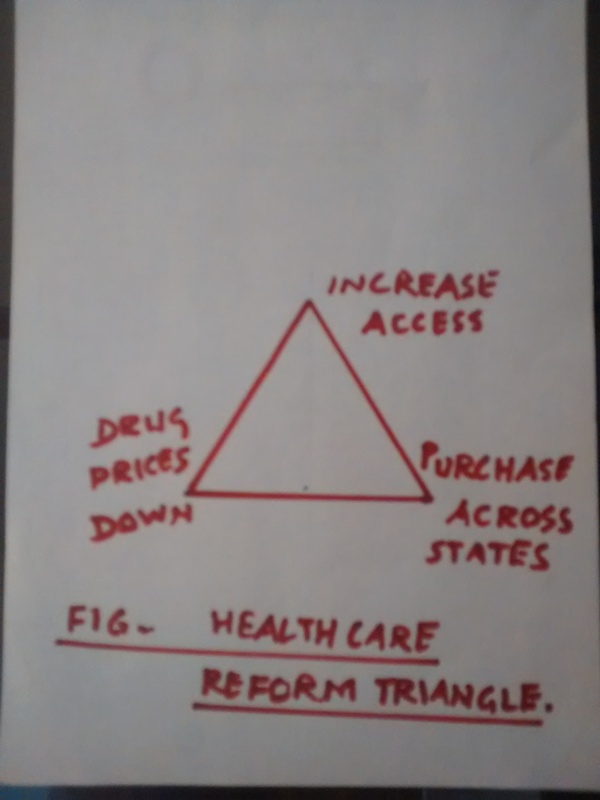 The figure below represents the President’s Action Triangle constituting the Program Focus; Consensus Development; and Effective Implementation. 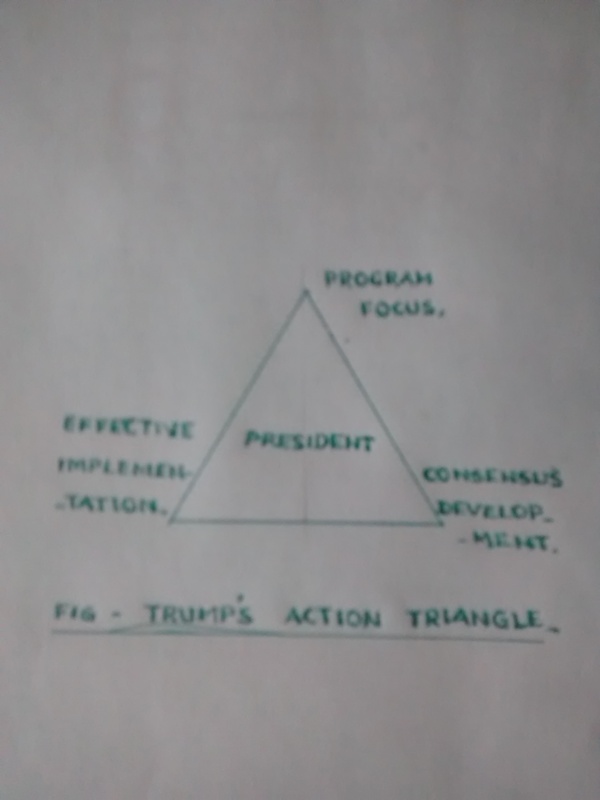 Program Focus refers to all the programs that he spoke about earlier in his speech and detailed above. Consensus Development refers to conciliatory efforts of acceptance with little deviation from the intended programs across the aisle. Effective Implementation refers to concerted efforts by the various departments, officers,/and personnel engaged in delivering services to people effectively within the timeframe allotted. The above is only a simplified version with no attempt to prioritise and execute actions with projected resources, personnel, administrative tools to achieve the end which needs elaborate discussion. President Donald Trump needs to confront a different challenge and type of crisis as at present and whether he can emerge as the promachos, given the stream of irresistible forces on varying fronts like delayed cabinet formation; harmony and consensus among Congressional members; exercising exemplary control over his own staff; extraneous challenges impeding growth – will cause much interest now. There is one serious ‘disappointment’ though. “Where the money will come from” for the much talked about programs and expansive increases in budget – will not only haunt the opposition, people, and all states and administrators but more seriously the ruling dispensation. It should not remain ‘words without deeds’ ultimately. That will then become the biggest disaster. What is important in any given task; be it government, private, enterpreneurial, or any other is the decision to make the right beginning. Being in the battlefield is more important than trying to figure out what is in, or what makes for the battlefield. Right or wrong; deliberately or by chance; President Donald Trump has made a beginning with some of his promises; and he is preparing himself to plunge into the battlefield. That is a good signal. Wednesday, March 1, 2017 – 11. 19 a.m. (IST). Tidbit : ” My job is not to represent the World; My job is to represent the U.S.A. ” – President Donald Trump.